Oh Waffles - you will survive. And maybe there will be chicken for snax tomorrow night. Waffles, the Woman says you can chill on her lap and she'll know it's Waffles Wednesday. And I'm getting kind of annoyed with her sending messages to you through me. As if I'm not her cat! Waffles, the Eves are BETTER than the usual Wednesday. Wouldn't you prefer your day being all about celebrating and parties? Maybe dere will be chikken treats for da eve. Poor Waffles, maybe you could just humor him with some KFC? Katie, you're sooooooooooo glamorous!!!!!!!!!!! Waffles, eves are party times .... you'll get extra food!!!!! Miss Katie you are a vision of Tuxiness well done and may you continue to Tux down that ginger boy well into 2015! Waffles, they'll all be partying for you on Waffles Wednesday. What better Waffles Wednesday could there be? Katie, you're looking amazing in that tiara!!!! Eve? Who is this Eve? Are you getting a sister??? Katie that tiara is so you! Waffles, I am sure you can do a Waffles Wednesday/New Year's eve hybrid post. You aren't really willing to share your days, are you Waffles? Well maybe your mom & dad will make your New Year's Eve ... I mean Waffle's Eve ... fun for you both! You are going out in style, Katie, in your last Tuxie Tuesday post of 2014! You look beautiful Katie. Waffles you look priceless. Katie..you are just so so pretty honey..
Awww... is Waffles not getting enough attention? Her royal highness Princess Katie looks lovely! You are a vision Miss Katie. You got that right, Waffles. You've been gypped. Perhaps the first two weeks of 2015 could hold TWO Waffles Wednesdays. How does that sound? Besides confusing. Wishing you kitties a Happy New Year! You look so glamorous Katie. Oh, the humanity! Or maybe it's the catity. We don't know one from the other actually but maybe tomorrow could have a good smattering of Waffles to make up for it? Happy Waff... er Happy New Waffl...um, Happy New Year (with Waffles on the Side)! Oh poor Waffles!! Katie you are a queen and diva all rolled into one!! Hope you had a great Christmas! PeeEss Waffles you can get a transfer to another blog if you want!! I'll put a word in, k? Just move along Waffles. Today is for us tuxies. Move along and no cat gets hurt. Katie, you look stunning in your crown. 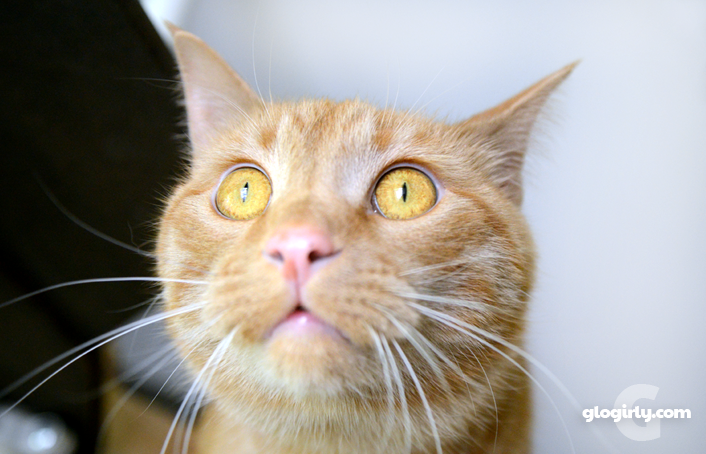 Poor Waffles, we thinks you should get a whole week to yourself after the other Eve! Katie, a tiara for Tuxie Tuesday suits you so well! Waffles, New Years Eve is a HUGE party! Maybe Glogirly will have chicken treats and laser lights....AND everyone kisses at midnight! 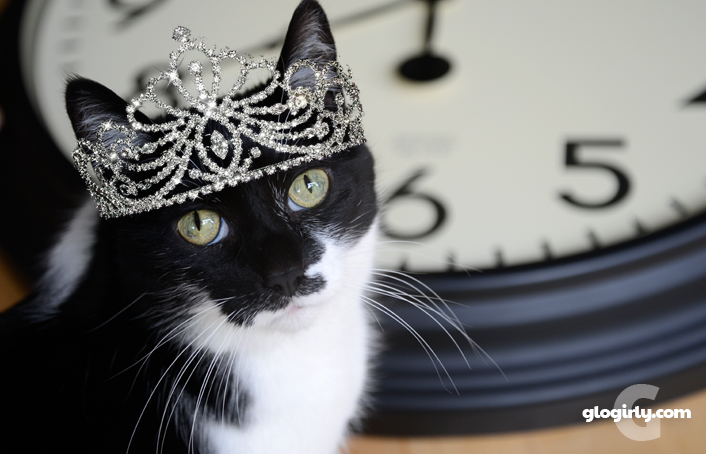 Katie your tiara was perfect for your last tuxie Tuesday of 2014! I hope there will be #TuxieTuesday in 2015!! !